Starting now and culminating with a four day hackathon beginning at noon on Thursday, September 19th, the 20 Over 20 hackathon is looking to solve problems that have been lingering, unsolved for the last twenty years. That’s what they intend to do during the hackathon. Dialexa is already solving big problems ranging from surveillance at a Nigerian naval base to GPS tracking to building 3D tooth models from 2D scans. All problems that Haidar’s company has solved with technology. Do you have a problem that’s been nagging at you that could be solved with technology? You can submit that problem now, here. On the evening of Wednesday September 18th, the 20 Over 20 team will select the 20 Over 20 Problems. From there, the preselected teams will have 18 hours to decide which of the problems they want to solve. If you submitted a problem and your problem is selected, you’ll receive a $20 gift card. If you choose to participate on one of the teams, you’ll be competing for a $10,000 cash prize, winner takes all. The teams will work from noon on September 19th through 4pm on September 22. Each team will have 20 minutes to present their solution and 10 minutes for Q&A. The winning team will be incorporated free of charge by law firm Strasburger and Price. The prize money will be a $10,000 common stock equity investment for 2% to DVP. How well does the idea solve the problem that was identified? What level of disruption of innovation does the idea bring to the problem’s market? Buy one give one charities have become one of the most popular forms of social entrepreneurship. I don’t mind buying my family Toms, because I know I’m doing my little part for charity in my already busy life. Over the past couple of years, monthly subscription box startups have become equally popular. Now Dallas-based entrepreneur Travis Watson has put both concepts together in a startup he calls Be Pawsitive. Be Pawsitive is a monthly subscription box of organic treats for your favorite canine companion. The “home baked” treats taste great to dogs, and they’re good for them as well. But, in addition to your dog, when you sign up for Be Pawsitive, the same box will be sent to an animal shelter so those dogs can enjoy the treats. For every purchased box, one is donated. Treats come in a variety of shapes, sizes, and flavors including; The Original, Rise and Shine, Cheesy-Berry, Pizza Party, Power Berry, Banana Split, Pumpkin Pie, Relax, and Iron Dog. In addition to the delicious snacks, Be Pawsitive also tries to include other things for their canine customers like toys and for their first box a $25 gift certificate to Rover, another startup that helps dog owners find experienced pet sitters. We sell a monthly subscription box for dogs. The box is full of our delicious oven baked dog treats and a few other fun dog items. Each box of treats we sell provides a box of treats we donate to animal shelters and rescue organizations across the country. We operate with a Buy One, Give One business model. Each month customers get a new treat flavor in their box as well as other sponsored products (ex. gift cards, dog toys, misc dog stuff). Travis Watson (me) is the founder of Be Pawsitive. I have a background in design and finance. I graduated from The University of Texas at Arlington with a BBA in Management in 2009. Each year over 3 million dogs will enter into animal shelters across the country. We are working to help make their (shelter dogs) lives better and increase adoption rates. Our treats are used during obedience training to help dogs get ready for new homes. Dogs that are leash trained and obedient get adopted faster. Our treats also act as an ice breaker during the first meet and greet with a shelter dog and person(s) looking to adopt. Some of these dogs come from abusive past or are just a little scared being in an environment with so much going on. Being able to give the dog a treat shows that your intentions are good and allows the dog to feel more comfortable and hopefully leads to a long term relationship with those people. And finally they are a healthy snack for the dogs. Many of our treats provide additional nutrients and are packed with healthy ingredients. We are also working to raise awareness to adopt instead of buy from a breeder or pet store. The over supply of shelter dogs can be lessened with more people adopting. People have a special connection with dogs and we want to provide a way for them to reward their own dog with amazing dog treats and also provide them with a way to help other dogs out. 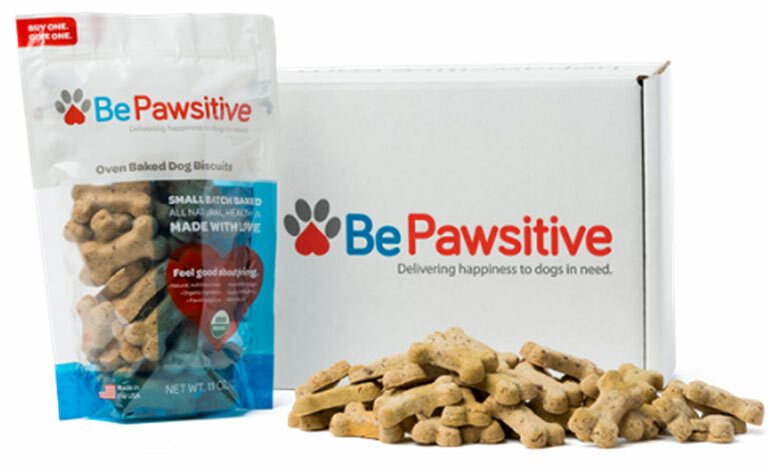 We had a successful launch of our website www.bepawsitive.com on June 1st and have been gaining traction within the subscription box (for dogs) market. Our next big push will be a mix of online marketing, social media engagement, and grass roots marketing. We hope to keep gaining new relationships with shelters and rescue organizations that will benefit from our treat donations. Check out this startup, it’s Fitbit for dogs. The Fort Worth Texas based Cowtown Angels, part of TECH Fort Worth have announced their fourth and largest investment to date. Cowtown has invested $620,000 into Wisegate Inc. This was also the first time that Cowtown Angels have led a round of financing. $325,000 in Inview Technology Corporation, a developer of compressive sensing cameras. Cowtown Angels were the lead investor in a $2.8 million dollar round with 23 participants. They previously raised $461,000 in 2011 and $900,000 in 2010. TECH Fort Worth receives applications of companies who want to “pitch” to Cowtown Angels members at their monthly meetings, presents the qualified applicants to the Angels’ screening committee and helps companies selected by the screening committee prepare their presentations. Angel members decide individually whether they want to invest in a company. There are currently 20 members in the Cowtown Angel network. Have you seen Dialexa, one of the coolest startups in Texas. Some may be surprised to find out that Techstars has no “official” presence in Austin. What??? That’s right, even though they throw one of the best parties at SXSW and you can find most of the Techstars team roaming about during the festival they’ve had no real presence. Techstars announced via their blog that they are going to take up residency in the already epically awesome Capital Factory (home to DreamIt Austin as well), and begin an official Techstars cohort in August. That’s not all though. 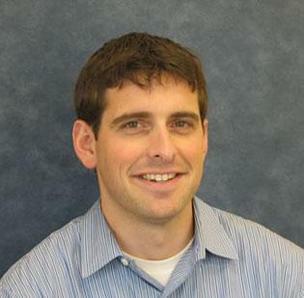 They are bringing over TechStars Cloud Director, Jason Seats, from San Antonio to run the program. 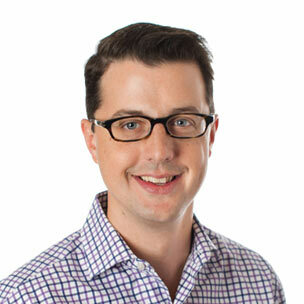 Seats sold his company Slicehost to Rackspace and has since been involved with Techstars. He’s also part of the StartupGrind program. Having a Techstars class in an environment like Capital Factory gives the young startups a huge advantage. Austinpreneurs are always hanging out at Capital Factory, in addition to the huge mentor network Techstars already has to offer. David Cohen announced the new Techstars program this morning and also opened up the application process. “Forbes and Bloomberg have been calling Austin the No. 1Boomtown and the best place for your startup for years now, and Google recently chose it as the second city to receive the fastest Internet on the planet. TechStars exists to put the best mentors and the best entrepreneurs together in the best startup communities so Austin is a natural next stop for us. We will run our first program starting this August and applications are open as of today!” Cohen said in the blog post. Speaking of Austin here’s over 40 startup stories from SXSW 2013. This year marked my third trip to TechCrunch Disrupt NYC and my 7th trip to a TechCrunch Disrupt event overall. Typically we expect to see some cool big data startups, social mobile startups, food startups and over the last two years, hardware startups. I don’t think in all the startup events I’ve ever been too, I’ve seen anything quite like Dialexa. Dialexa is a startup themselves, but what they actually are is a technology development company. The company, formed by entrepreneurs Mark Haidar and Scott Harper, Dialexa was founded upon recognizing a huge market demand for innovative and scalable technology solutions. Mark and Scott serve as Co-CEOs jointly spearheading operations, strategy, local and international sales, product development and engineering for clients and Dialexa Labs. Harper and Haidar met each other at 2GO Software where Haidar was the CTO and Harper joined as Head of Operations. 2GO was the recipient of the 2010 Honeywell Scanning and Mobility ISV Partner Of The Year. Prior to meeting at 2GO, the founders had a multitude of experience in technology and starting companies. Previously Mark led the development of a state of the art research and development project for the US Army Tank Automotive Research Development Engineering Center (TARDEC). He was able to successfully research, design, develop, and validate an original service-oriented intra and inter-vehicle communication system for transportation, robotic, and military systems. This technology enhances each vehicle’s situation assessment and awareness in military combat situations and has the potential to help create safer and more efficient highway systems. Scott previously started a web based marketplace for tutors in the college tutoring market, a web based suite of software tools that helped non-profit organizations enable their supporters to give money for free, and was part of an initiative to start up a bank focused on the medical community that heavily leveraged technology and eventually led to the buyout attempt of a several hundred million dollar bank. A surveillance and protection system for the Nigerian navy. The Nigerian navy is losing $6 billion dollars a year in crude oil. They don’t have the man power or equipment to cover their entire shoreline. Dialexa is developing a system using drones, small submarines, cameras and a monitoring system to alert the navy when people, or machines are stealing their oil. They also have a GPS system in the works that will allow someone to track anything. The system can track packages, people, kids, money in armored cars, etc. What’s unique about this system is it’s designed to require just a charge once a week and works through a variety of mobile systems. They also have a system in development that will print 3D teeth from 2D scans. Haidar told us in an interview the entire process of evaluating a tooth for surgery could take months. Now it is down to just hours. Haidar credits the team they’ve assembled to the success they’ve had so far and the team continues growing. No project or startup is too big or too small for Dialexa. 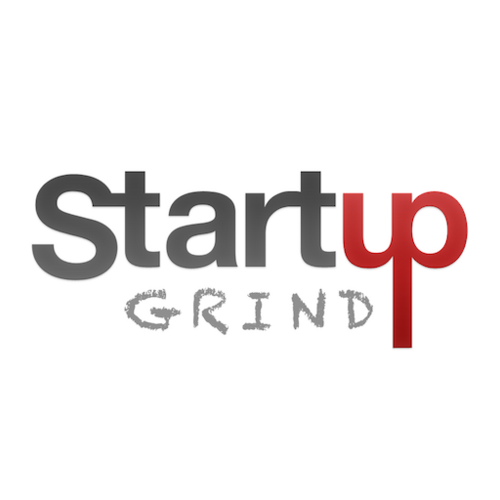 They even have your general mobile startups within their portfolio of companies that they are helping take to market. 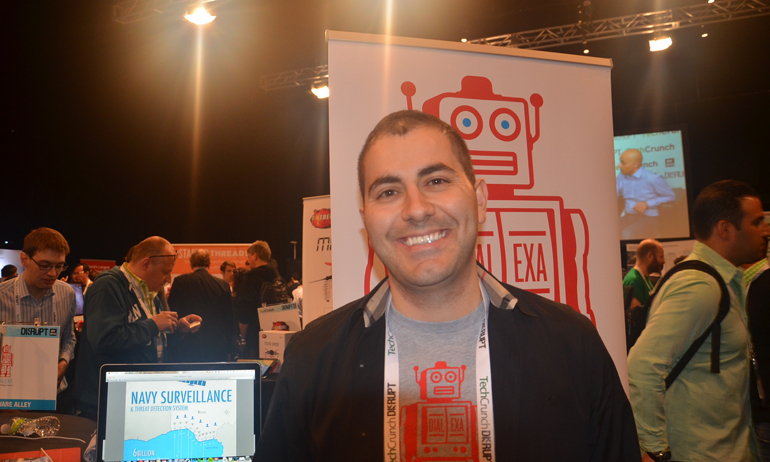 We’ve got over 25 more startup stories from TechCrunch Disrupt NY 2013 here at nibletz.com the voice of startups everywhere else. 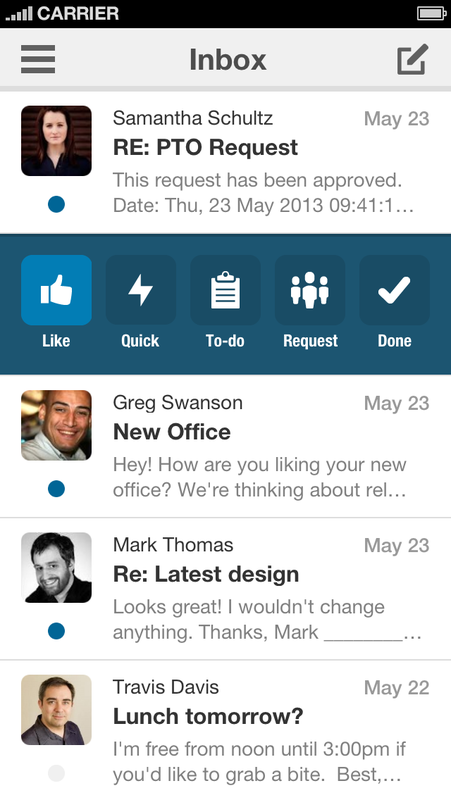 ooWorldcoop is testing the waters in a new space in the social marketplace realm. Founder Anthony Tyson, has created the first ever social online market place co-op. Like any other co-op that means that the user base or membership will actually own the co-op together. While Tyson will always be the “founder” or “creator” he won’t be the owner, everyone will. Co-Op models have been around for many years. Group buying co-ops are the most popular kinds of co-ops that still exist in the offline world today. Most cities have a grocery store or local produce store co-op. In that case, the members vote on what kind of items to buy and at what prices. They also dictate buying power with strength in numbers. The biggest benefit for the overall business in this case is that vendors know exactly what the buyers will buy. In the case of the online co-op, after operating expenses, members will vote on where the co-op can spend its money. Profits will be reinvested, with member guidance, to offer more and better services to members. A co-op also means that the accounting will be transparent to any co-op member. Membership is free and comes with an easy to design and customize ooWorld.coop account/profile. While ooWorld.coop may accept direct donations, most of the cooperative’s revenues will come from service/transaction fees and advertising. Surplus revenues will be used for various member programs such as affiliate commissions, education grants, micro and mini grants, and other programs voted on by the membership. We hope these will include affordable, renewable energy sources, affordable housing programs, and access to healthy food and clean water. From the Certificate of Formation of ooWorld.coop, ‘… The purposes for organizing ooWorld.coop are, but are not limited to, to empower, support and encourage individuals to improve their quality of life and increase their earning potential; to promote, encourage and support the growth of micro-businesses and other business opportunities; to promote other worthy human endeavors including, but not limited to, arts and culture, scientific research, education, and human rights; to boost local communities while building a global community based on cooperation, collaboration and sharing; and to lessen the burdens of government. Tyson said on their OneSpark profile page. How did people respond to this new kind of startup? Well out a crowd-funding festival they loved it. Although they didn’t finish in the top three when all was said and done on Sunday, ooWorldcoop was the biggest mover on Saturday. Check out more OneSpark coverage here. 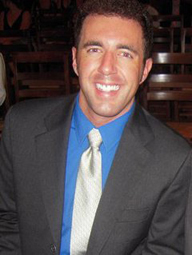 Dallas based entrepreneur Michael Walsh has been extremely busy lately. 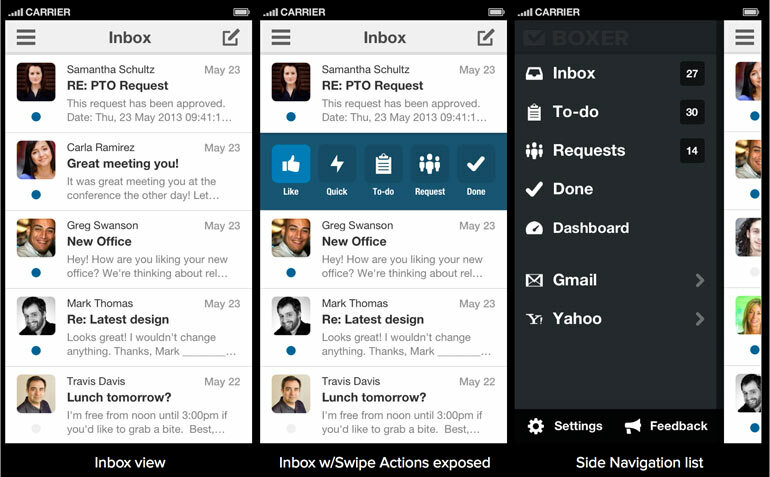 First off, his Austin Texas based startup, Cariloop, just launched. We interviewed Walsh about his startup that uses the “Expedia” model for geriatric care back in January. Walsh also just recently launched a new web series called “HealthSparx”. This online web based radio show deals with the intersection of three important industries: health, technology and business. Each webisode runs about 30 minutes and features commentary, information and an interview with an influential person in health or technology. Healthsparx is already on it’s fourth webisode. 1. There is seriously so much cool stuff going on in healthcare right now that no one knows about, and that’s thanks to the innovative entrepreneurs and technology that are finally giving this industry the makeover it so desperately needs. Make no mistake, this makeover is going to take a LONG time for us to really see how great it looks, but we will get there…I am sure of it! I want to share these great stories from across the country and make people more aware of the cool products and services being born. If you have one of these stories for me, go submit your info to me on the “Be A Guest” page, I want to hear from you! 2. No easy way to say this, so I’ll just level with you…Healthcare has gotten ridiculously confusing. This confusion is affecting everyone – you, your business, your employees, on and on. I want to pull the curtain back a bit on what’s going on so you might finally make heads or tails of it. Maybe here, in the HealthSparx community, we can even come up with some things that the “powers that be” aren’t thinking about. 3. I love entrepreneurship – I love talking about entrepreneurs, I love helping entrepreneurs, and I love trying to light a spark within an entrepreneur who doesn’t yet know they are an entrepreneur. So, I’m going to do just that, bring people on the show that might be able to help someone else build that amazing idea they’ve been thinking about. 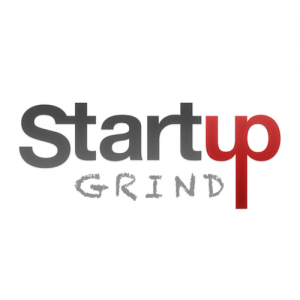 This might include developers, designers, lawyers, financial advisors, investors, accelerators or any other people who think they know what it takes to bring a product or service to life. Take this information, digest it, and if possible, make something happen with it! The shows are well produced and thought out and if you fit into one of HealthSparx categories feel free to apply to be a guest here. There’s much more to Dallas than oil and JR, check out these Dallas startup stories here. As the college school year starts to wind down next month, dumpsters will start filling to the brim with all the colorful stuff students purchased headed into the school year from Target. A lot of the housewares and dorm room goods will still be in new packaging. Why? Because gearing up for dorm life can be confusing. Often times it involves lots of trips to the store for things students are told they need but actually don’t. Well two cousins, Sagar Hemani (Missouri University alumn) and Shanil Wazirali (Texas A&M alumn) have set out to make moving into the dorm much simpler. Their new startup Dormitup just opened its doors and offers a great new way for students and parents to get everything they need for the dorm in one click (or two). 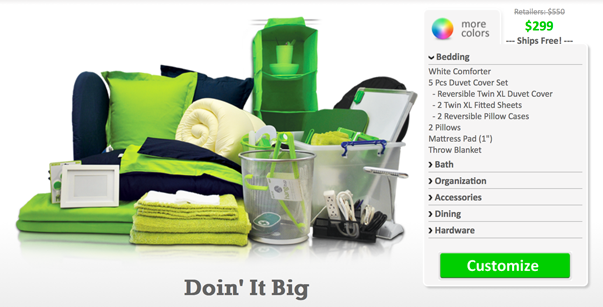 Dormitup provides predetermined packages that are filled with the things students actually need for dorm life. 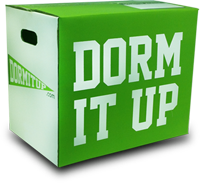 Inbound college students and their parents can go to Dormitup’s website and order everything in one package. They can also customize their dorm room packages by color. Then everything is delivered to their home (or dorm room) ready to go. Students and parents can spend their last few weeks preparing for college, saying their good byes and having fun. Dormitup.com offers a convenient, affordable, and exciting way for incoming college students to purchase their campus essentials! We focus on providing everything that an incoming college student needs and wants, while maintaining an affordable price and providing high quality products! Entering college was an exciting moment for us! We were both convinced that the next four years were going to be the best years of our lives! After receiving our room assignments, we started our research on what to bring to college. This was a tough process. We both felt the need to buy everything on the 3-4 checklists we could get our hands on. We didn’t know any better. All we kept hearing was to make sure to purchase Twin XL bedding. We didn’t even know what Twin XL meant. We dragged our parents from store-to-store trying to find the bare essentials. It wasn’t easy. We both spent nearly a week trying to find these essentials because everything was sold out in stores. Our parents were overwhelmed and extremely frustrated by this process. We don’t blame them; entering college was supposed to be an exciting moment, not a burden. Just as we thought we purchased everything, we entered our rooms and noticed that they were completely empty. Our parents had to make 3-4 more trips to local retail stores just to make sure we were fully prepared and weren’t missing anything. Both of our parents spent nearly $700, countless amount of gas money, and valuable time through this process. We knew there had to be a better solution to all this madness? All throughout college we remembered this horrifying process and came together, wanting to save the lives of all students entering college. We didn’t want other incoming college students to experience what we went through. Upon graduating from college, we knew it was time to launch Dormitup.com to provide incoming college students and their families a way to get all of their dorm room essentials, without having to waste time, money, and their sanities. More and more businesses are growing, especially by young entrepreneurs. It seems as if entrepreneurship is starting to be well accepted by people, and more and more people want to own their own businesses. We provide an enjoyable, hassle free, and affordable college shopping experience for parents and students. We do this by offering incoming college students the ability to choose between our four dorm room essentials packages, the opportunity to customize their essentials by the colors and styles of their choice, and the convenience to receive their customized dorm essentials package at their door steps. We’ve faced many challenges throughout our startup process. We’ve struggled anywhere from developing the products, to bootstrapping how we market our company to the public, to developing partnerships. The only answer to how we’ve overcome these challenges is being diligent. We’ve conducted years of extensive research and spent many late nights working and scratching our heads to develop the right products and business structure. Our investors and mentors have instilled in us to start small, but dream big, and that’s what we’ve been following. It’s diligence and perseverance that has brought us to launch our website today. We have our own Dorm It Up brand of products, which students will love! We also have a partnership with a major University! To aim to create a word of mouth business and a well established brand. Our objective is to have people talking about Dorm It Up when they think of college shopping. We aim to develop more and more University partnerships throughout the years, provide the best customer service to our Dorm It Up members, and get our packages in the hands of as many incoming college students as possible! We’ve had the pleasure of having our family and friends, as well as our mentors to guide and support us on a daily basis here in Dallas, TX. We have all the resources we need here for our business. We are marketing our eGift cards at this time, which allow parents to purchase eGift card packages, and let their graduate customize their package the way they want it. We are continuously working to develop new partnerships and find opportunities to market to parents and graduating high school seniors. I technically got out of the cell phone accessories writing business last year when we sold Thedroidguy, however in Austin at SXSW we met Akil Momin the founder of Mrked. Mrked offers 5 stylish and protective collections of iPhone cases; Crayon Box, Double Dutch, Honor Roll, Classroom and Jungle Gym. Their protective cases have an element of style that you don’t find in run of the mill cases. What makes Mrked worthy of the pages at nibletz.com the voice of startups everywhere else, is the social spin they put on their company. The young Houston based startup set out when they built their accessory company to do something social with it. That’s why they partnered with Room To Read an organization that provides education to girls in Asian and African countries. “We believe in investing in the future, this is why we are supporting the works of Room to Read to help provide access to quality education to girls in Asian and African countries. Education empowers and enlightens people of all genders, and this brings about positive changes in many areas. Statistics show that educated parents raise educated children and that mothers are especially influential in this process. Educated women are able to live productive and enjoyable lives and raise families that do the same. This means that providing girls with proper education is the single most vital tool in eradicating inequality and poverty in the short and long term.” Momin says on the company’s website. All three founders of Mrked have parents that migrated from South Asia to provide their sons with a better education. Mrked is their way of giving back. You can check out the cases at Mrked here. Elder care and geriatric care are on the rise. As the baby boomer generation starts turning towards assisted living and geriatric care, the industry continues to grow. In 2013 we’re starting to see a new trend of somewhat computer savvy seniors, and their kids, turning to the internet to help find care and services. We’re also at a time where more and more seniors are trying to prolong their independence by living at home. However, they still need resources. Austin based Cariloop is a startup that is applying an Expedia like model to finding elder care and geriatric services. This gives users access to information that used to take months and months and hundreds of brochures to sift through. Now it’s all accessible at your fingertips and easily comparable.